Robtel Neajai Pailey and Silas Kpanan’Ayoung Siakor advise President George Weah to forget about political niceties, institute reforms, and focus on a handful of tangible goals and work on achieving them in six years. Now that footballer-turned-politician George Weah has been inaugurated as Liberia’s 25th president, he will face the challenging task of reviving a resilient, yet deeply divided, poorly managed, post-war country. Weah was the frontrunner among 20 candidates who ran in the first round of elections last October 10. After an electoral litigation battle that dragged on for weeks, he won the December 26 runoff with 61.5 percent of the vote. Though turnout was low – 55.8 percent compared with 75.2 percent in October – Weah’s die-hard followers delivered his most decisive victory. But the euphoria will be short-lived if he repeats the mistakes of his predecessors, including Africa’s first elected woman head of state – Ellen Johnson Sirleaf. Despite Liberia’s reputed gains in political and socioeconomic renewal in the past 12 years, when Weah takes over from Sirleaf he will be inheriting high levels of unemployment and domestic debt, a depreciated currency, donor aid fatigue, growth projections of 4 percent (before the Ebola epidemic the country recorded an average growth rate of 7.5 percent), corruption with impunity – including a secret tax waiver for logging companies – and declining human development indices. Merrymakers and naysayers alike eagerly await Weah’s agenda for the country, given his lack of a concrete platform on the campaign trail. Still thin on details, however, his acceptance speech delivered on 30 December raised fundamental questions about whether he will position people before profit during his presidency. Weah’s pledge to make “transforming the lives of all Liberians” his “singular mission” seems genuine. His vow to weed out the “menace of corruption” appears noble. But these political platitudes stand in contrast to his more distressing promises to “relax constraints to private investment” and “protect business profits”. Granted, maximising corporate earnings and improving quality of life do not necessarily have to be mutually exclusive, but in Liberia the former has always trumped the latter. During the 1960s Open Door Policy boom, Euro-American multinationals flocked to Liberia for large-scale profits from iron ore and rubber. The country was infamous for recording double-digit growth without development. A protracted armed conflict from 1989 to 2003 largely financed by timber and diamond extraction prompted the United Nations to ban exports. The Sirleaf administration relied almost exclusively on the mining, forestry, agriculture and petroleum sectors for revenue generation until a commodity price slump left Liberia in the lurch. Weah has vowed to pick up from where Sirleaf left off, but tactical shifts are essential in almost every facet of governance. He must convert his clunky campaign slogan, Change for Hope, into something meaningful for the hundreds of thousands of disillusioned citizens across the country – whether they cast a ballot for him or not. 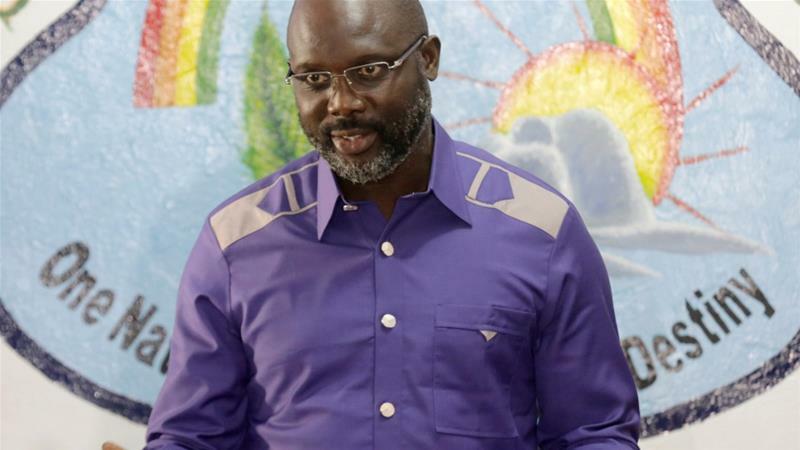 Though president-elect Weah will have a laundry list of priorities to tackle – including judicial and electoral reform – he must focus on a handful of tangible goals and work on achieving them in six years. He should proceed as if he is only seeking one term in office, forget about political niceties and institute reforms like the trained striker he once was. First, Weah must ensure that 25 percent of government contracts go to successful Liberian-owned enterprises through competitive bidding. Because the country imports more than 80 percent of its food – including the staple rice – preference should be given to Liberian agribusinesses operating at scale. Weah must also turn his sights on foreign multinationals by cancelling contracts with poor performers and renegotiating agreements that may be violating Liberian national laws and international human rights standards in the oil and gas, oil palm, rubber and iron ore industries. The revised agreements should generate improvements in tax collection, value-addition, employment, and corporate social responsibility obligations to affected communities. In this vein, renewing the Liberia Extractive Industries Transparency Initiative would re-commit the government to auditing contracting and resource-allocation processes and implementing environmental safeguards. Weah will have to build an industrial base in Liberia by insisting that foreign companies work with his government to establish wood, rubber, palm oil, and steel rod processing plants in regional hubs throughout the country. Extra revenue generated from these activities should be invested in road reconstruction, electricity expansion, water and sanitation services. In order to clamp down on excessive waste, Weah must slash recurring expenditure including exorbitant salaries for political appointees, large travel budgets of government ministries and agencies, imported vehicles, fuel and phone card allotments. This will enable him to pay doctors, nurses, teachers, and police officers a living wage. All government ministries must be audited, and executive branch appointees should declare assets for public scrutiny. Weah must hold government officials accountable by heeding General Auditing Commission, United Nations and civil society reports that catalogue instances of corruption. For those accused of theft during Sirleaf’s two terms (including his own political ally and former speaker of the House of Representatives J Alex Tyler), who continue to gallivant freely in and outside Liberia, Weah must appoint a special prosecutor to arraign them in collaboration with the ministry of justice. The assets of officials found guilty must be frozen until all funds are remitted to government and they must be barred from serving in Weah’s administration. This will send a clear message that the president is truly committed to protecting Liberians from those who egregiously evade the public trust. Although Weah won on a populist tidal wave of anti-intellectualism, he must make education the bedrock of his presidency. In doing so, he should confront the previous administration’s controversial privatisation of public schools by instituting an independent review of the pilot and consulting with Liberian educators across the country about the way forward. To address unemployment – especially among 18 to 35-year-olds who comprise more than 50 percent of the population – Weah must rehabilitate vocational training centres that now lay in ruins across the country. He should eschew mediocrity and adopt meritocracy by rewarding technical proficiency. 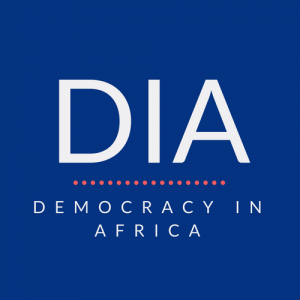 For instance, in the strategic ministries of finance, commerce, public works, health and education, Weah must avoid ineffective political entrepreneurs and instead appoint competent managers who have a proven track record of developing and implementing reforms. He must do the same for semi-autonomous agencies that generate significant government revenue, such as the maritime, port, social security, petroleum and refinery agencies. Aside from adopting a radical shift in socioeconomic management, Weah must also wage peace. With the United Nations Mission in Liberia (UNMIL) set to end its security mandate in March 2018, Weah should select astute ministers of defence and justice to expand the remit of the Armed Forces of Liberia (AFL) and the Liberia National Police (LNP). This will mean sourcing funding to train security personnel regularly and compensate them adequately to avoid defection. Liberia is far removed from the heady glory of football fame. But if Weah can bring his work ethic from the field, and assemble a formidable team comprising both women and men with surplus intelligence and integrity, he may well succeed. Anything short of this would mean the president risks losing favour quickly with those who elected him to score the most important goal of transforming Liberia. Robtel Neajai Pailey is a Liberian academic, activist and author of the anti-corruption children’s book, Gbagba. Silas Kpanan’Ayoung Siakor is a Liberian environmental and human rights activist.